Use these links to get a free quote or enroll online! Welcome to Coverage without Boundaries! We know your reasons for travel abroad are many & varied - that's why our products are too! As citizens of a Global Society, traveling & living outside the borders of your home country is just about as common as vacation travel. 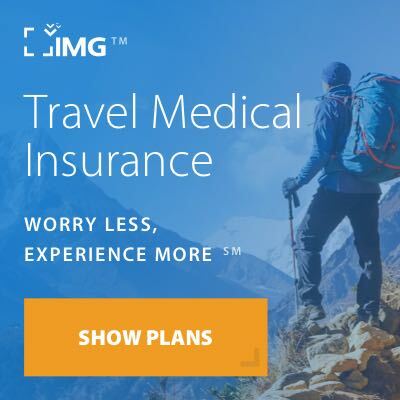 Enjoy a full-service approach to international medical insurance products with coverage for: vacationers; those working or living abroad for short or extended periods; people traveling frequently between countries; and those who maintain multiple countries of residence. We offer a comprehensive range of major medical, dental and disability products that can be tailored to meet your needs. Click on the tab below to learn how to ensure your travels are worry free.